It's no secret that, when it comes to cake, my absolute favorite kind ever is rum cake. 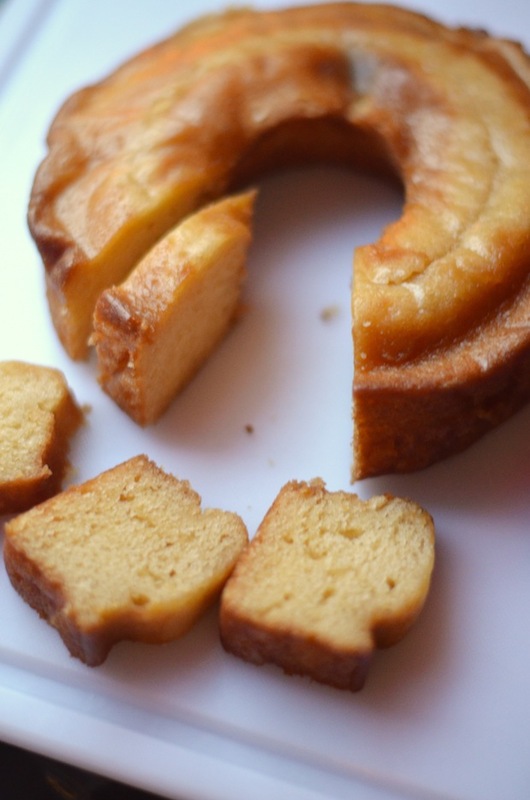 Nothing compares to the moist, golden cake soaked through with that boozy, buttery syrup. I'm always looking for an excuse to enjoy it. Best vacation souvenir? Rum cake! What to serve at Christmas dinner? Rum cake! Birthday coming up? Definitely rum cake! I regularly make my own homemade rum cake from-scratch, but I am also a fan of purchased rum cakes. Anytime I'm at TJ Maxx, you can usually find me raiding the food aisle for rum cakes. They keep forever and are great to have around for last-minute gifts or cravings. They are also wonderful for creating other desserts, like trifles, easy tiramisu-style layered desserts, or quick homemade ice cream cakes! These ice cream cakes were a bit of a summertime inspiration when I realized I could use the little tins the cake came in as a mold for mini ice cream cakes. 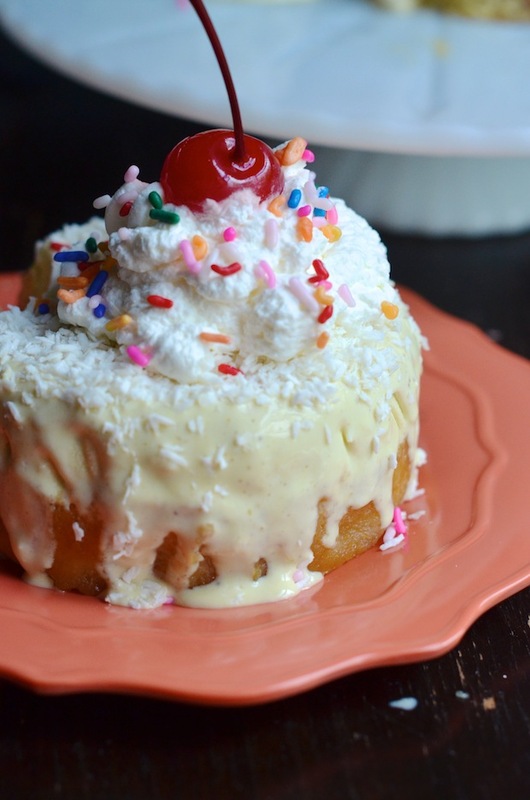 Moist coconut rum cake, layered with ice cream, shredded coconut and topped with your favorite sundae toppings--absolute heaven! Seriously such a perfect fun-in-the-sun summer dessert, and really simple to make! 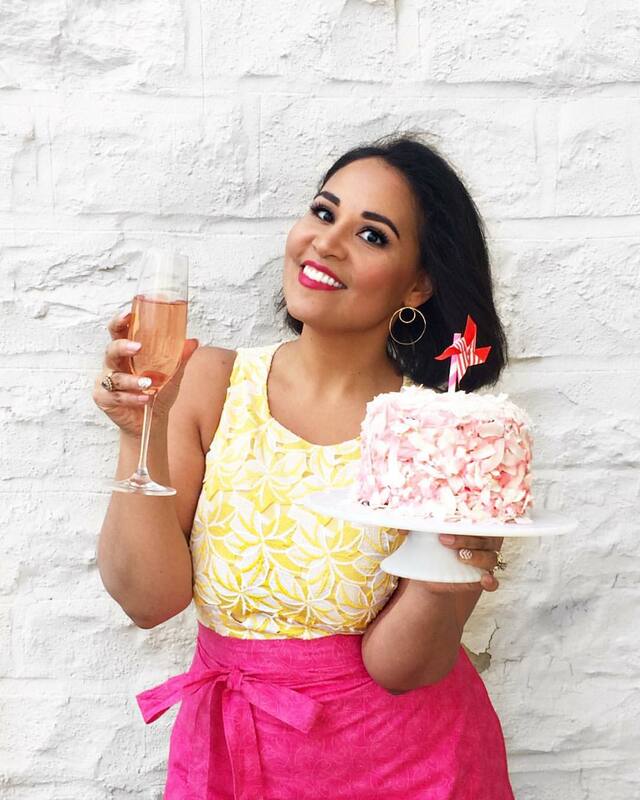 You start off with the cake: I chose coconut rum cake for this recipe, but you can really play around--I bet a lime cake would be amazing with a citrus ice cream, or a boozy bourbon cake with butter pecan! 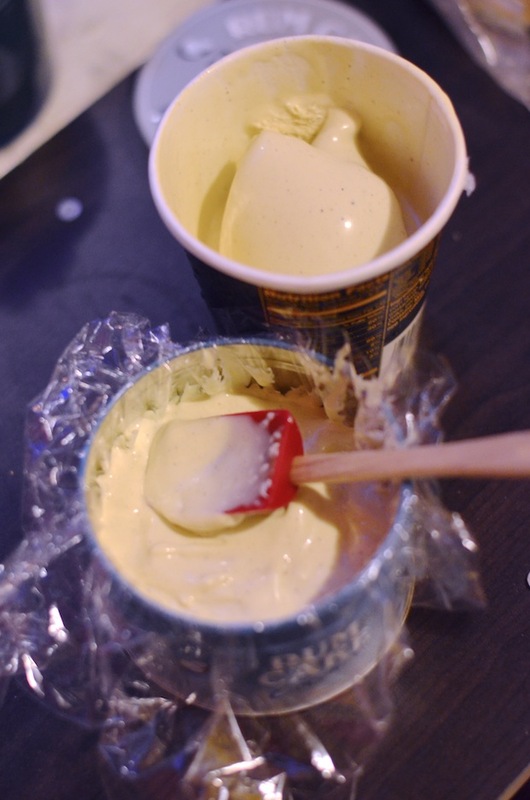 Then layer in the ice cream and freeze until solid. Unmold it just before serving and go wild with the toppings. The perfect way to end your next summer party! Remove cakes from plastic wrap and set aside. Rinse and dry the rum cake or muffin tins, then line with heavy duty plastic wrap arranged so that it hangs over the sides of each well. Cut cakes into smaller pieces and press into bottom of tin to create one even layer, about 1 1/2" thick. You'll need about 1 1/2 cakes per tin, or use slices from a full-size cake to create the layers. Scoop in about 1/2 cup ice cream, and use a spoon to smooth into an even layer, 1 1/2" thick. 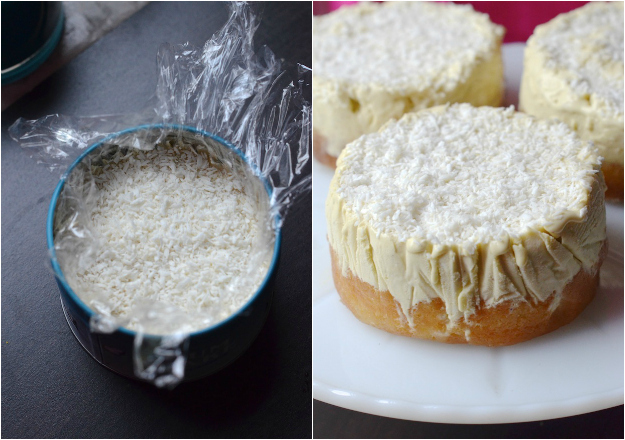 Repeat with other tin, then sprinkle both with grated coconut. Cover and freeze for at least 6 hours, or until very firm. Insert a butter knife between edge of tin and plastic wrap and gently pull the cake up (don't be afraid to force it--you can always reshape it a bit once it's out of the tin.) Peel away the plastic wrap and arrange on a serving platter. 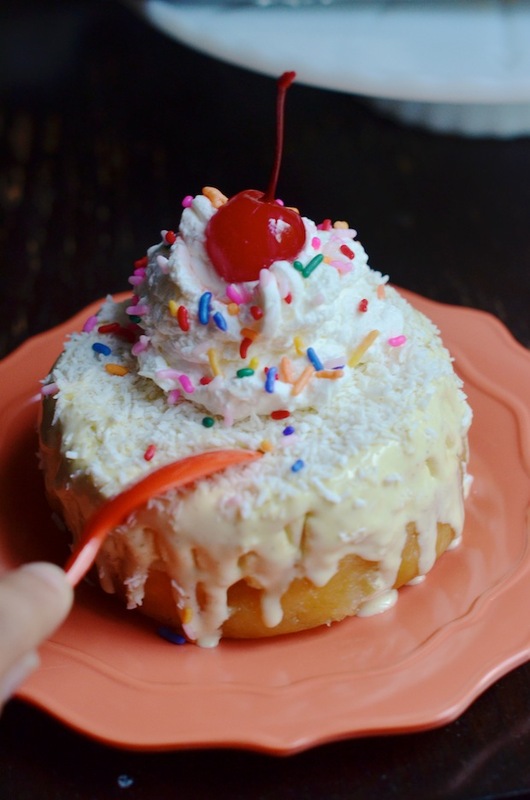 Top with whipped cream, maraschino cherries, and sprinkles (or any of your favorite toppings! ), and serve immediately.